Written by hw-admin on November 30, 2017 . Posted in Latest News. 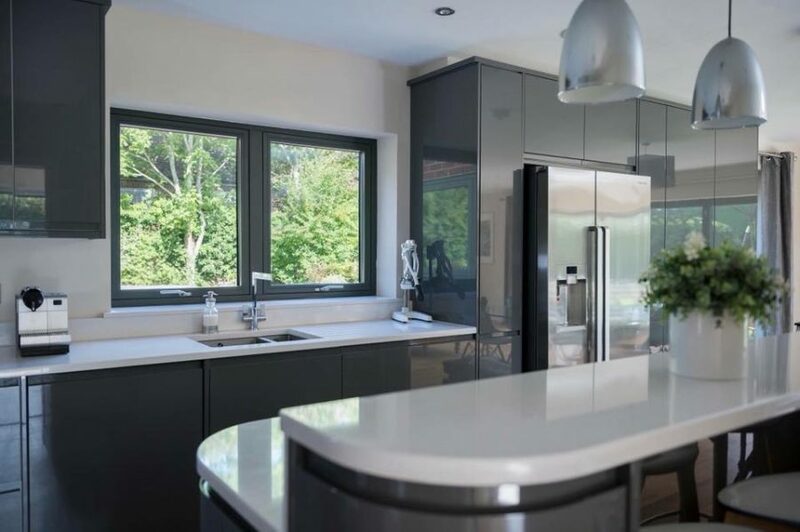 Our residence 7 windows are upvc flush windows that look exactly like Aluminium with a lot better U value and warm to the touch, Residence 7 looking modern and contemporary here to a kitchen finished in eclectic smooth grey. We manufacture the full residence range at our factory in harpenden, Please get in touch with us for a hassle free quotation, Or visit our showroom.